Dancer, educator and contemporary ballet’s pioneer, founder of the Rambert Dance Company – England’s oldest continuously operating ballet group. Queen Elizabeth II awarded Rambert the Order of the British Empire twice for her contributions to the arts. Marie Rambert, née Cywia Ramberg, was born on 20th February 1888 in Warsaw in a wealthy Jewish family. Her father was a bookseller and a publisher while her mother took care of the house. Young Cywia was supposed to study medicine, but when she saw Isadora Duncan on-scene for the first time in 1904, she decided to become a professional dancer. She studied in Paris, where she attended acrobatics lessons and studied in rhythm school led by the Swiss composer Émile Jaques-Dalcroze. She learned rhythm and movement in Sergei Diaghilev’s famous Les Ballets Russes, while performing with the group for a year, and by assisting Wacław Niżyński with Igor Stravinsky’s legendary Rite of Spring. In 1913 the spectacle caused a scandal in Théâtre des Champs-Élysées and went down in international dance and music history. In Poland, outside of a narrow circle of pre-war ballet experts, Marie Rambert remains rather unknown. Only now are we slowly discovering this figure, whereas in Great Britain it is difficult to find a lexicon or a publication on the topic of dance which would omit the Polish choreographer’s accomplishments. Her contribution to ballet’s development on the British Isles is invaluable. She came to London in 1914, just after the outbreak of World War I. At the beginning, she gave private dance and rhythm lessons to the children of the British elite – including Winston Churchill’s daughter. She gained publicity and acclaim right after completing her first ballet Pomme d’Or. The work, choreographed to Corelli’s music, premiered in 1917 in Garrick Theatre and was well-received by the critics. Rambert played the main part. Three years later, she established her own dance school and group, active to this day, in which she combined ballet technique with modern style. She had a great gift for discovering talent and created the greatest British ballet personalities. Frederick Ashton – Marie’s student, prominent choreographer and one of the international ballet’s most important figures – debuted with a short form titled A Tragedy of Fashion in 1926. This date is considered as the beginning of British ballet and of the Rambert Dance Company. Other choreographers who started their career in the group were Agnes de Mille, Antony Tudor, Norman Morrice and Christopher Bruce among others. These are just a few names and the list of Marie Rambert’s school’s graduates is a lot longer. Tamara Karsawina and Leon Wójcikowski also performed with Marie. Zofia Fedorowicz was her long-time collaborator. New production capabilities opened up before the group in 1931, when Marie’s husband, the esteemed playwright Ashley Dukes, arranged a high-end ballet studio in the former church hall by the Notting Hill Gate. Mercury Theatre’s auditorium could fit as much as 150 people. Through many decades, it was one of the most important addresses on London’s theatre map. At the same time, Marie Rambert, together with Ninette de Valois (Royal Ballet’s founder), engaged in social activity by patronizing the creation of the Camargo Society, an organization working for the development of the British ballet. 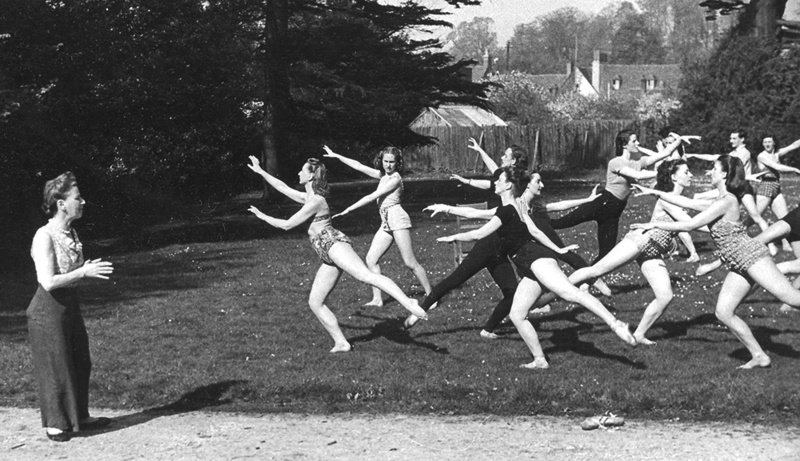 Rambert Ballet gradually widened its repertoire. Classic works, such as Giselle and Don Quicote, as well as more and more frequent performances abroad, started to appear alongside authorial choreographies and modern dance. In the late 1940s, Marie took part in the group’s tournée in Australia and New Zealand. She also performed in Italy, China and the United States. The 1960s were truly revolutionary for the group. Marie, at the instigation of her student and Norman Morrice, reorganised the group, foregoing on the corp de ballets and incorporating soloists specialised in the modern dance technique. In 1972, she published an autobiography titled Quicksilver. A few years later the book’s Polish translation, with a preface by Maria Kuncewicz, was released by Czytelnik under the title Żywe Srebro. Marie Rambert died in 1982 at the age of 94. In 2013, Rambert Dance Company presented a show inspired by its founder’s life and work, using fragments of historical choreographies and archive material. One can also watch them in the Rambert Archive, which stores hundreds of photographs, posters, exhibition pieces, music scores and reviews documenting Rambert Dance Company’s history.